WILMINGTON, Del. 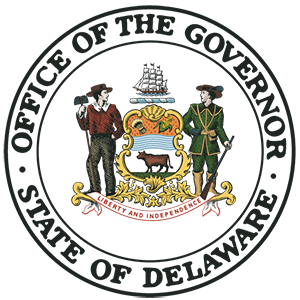 – Governor Carney on Thursday announced the launch of a website for the Government Efficiency and Accountability Review Board, gear.delaware.gov, to identify opportunities for cost savings and system improvements across state government. In February, Governor Carney signed Executive Order #4 establishing the Government Efficiency and Accountability Review (GEAR) Board to help identify, on an ongoing basis and over the long-term, opportunities for cost savings and efficiencies that will improve the delivery of state services. The GEAR Board, which started meeting earlier this year, will develop recommendations for increasing efficiency and effectiveness across state government. Its members will explore ways to improve Delaware’s strategic financial planning process, and expand the use of metrics in determining how to allocate state resources. By December 1 of each year, the board will submit a report to the Governor, including recommendations that may be included in the recommended state budget. Recommendations could include ways that state government agencies can share services, and new methods for improving the recruitment, development, and retention of state employees. GEAR’s recommendations will be intended to consistently improve the way the state delivers services, and to improve the quality of those services. Delawareans can visit the new GEAR website to learn more about the group’s mission and areas of focus, and to submit ideas for improvement.